On 20 July 2010 the U.S. House of Representatives passed H.	Res. 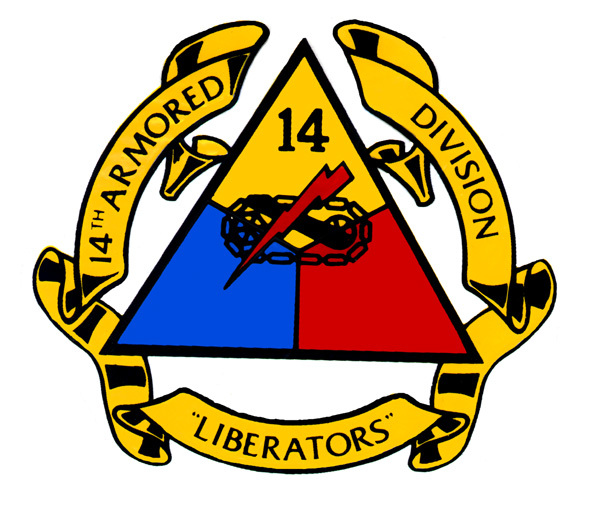 1483 honoring the 14th Armored Division and its men for their accomplishments during World War II. The resolution was sponsored by Representative Phil Gingrey of Georgia,	and the first co-sponsor to sign onto the resolution was Rep. Ike Skelton of Missouri. Representatives Mike Conaway of Texas and Mark Critz of Pennsylvania joined Rep. Gingrey in presenting the resolution on the House Floor. The veterans of the 14th Armored Division and their	families wish to thank these men as well as the 107 other members of the House who signed on to co-sponsor the resolution. In particular we wish to thank Rep. Gingrey for sponsoring the resolution, and his staff for their efforts on behalf of the division and its men. Of special note is John O'Keefe, Rep. Gingrey's Deputy District Director, for willingly taking on the difficult task of shepherding the resolution through the legislative process from its very inception until its passage. H. Res. 1483 In the House of Representatives, U. S., July 20, 2010.